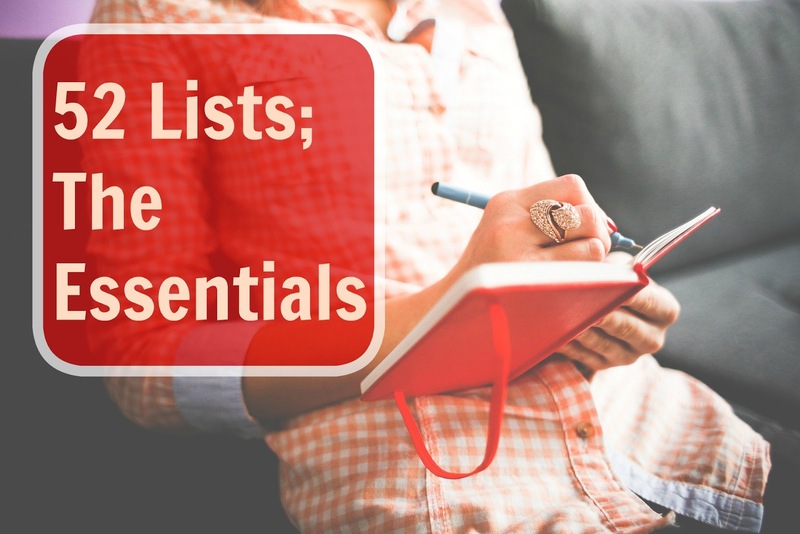 I'm not gonna lie this week's list assignment: list your essentials kind of threw me for a bit. Mainly because I am so literal and essentials implies something I can not live without. So I'm thinking food, water, and shelter. Those are literally the items I can not live without. Yet there are many things I would not WANT to live without. My Family-- I can not imagine my life without mu husband, my boys and our families. Life would be pretty lonely and meaningless without them. Chocolate-- Need I say more? Sunshine-- I just LOVE sunny days. There is something so uplifting about sunshine. Books-- I love to read. I am a total bookworm. Flip flops-- To me, they are the most comfortable shoes in the world. I wear them every chance I get. Nature-- Birds, trees, flowers, the sounds of running water, waves crashing, and birds chirping; being in nature makes me feel peaceful. Technology-- Though I often complain about the distraction of computers, Wifi, smartphones and the like I could not imagine my life without it. It allows me to write this blog through which I have connected with so many wonderful fellow bloggers. Electricity-- Something I always take for granted until we loose power but honestly even being without power for a day (or a week!) makes me wonder how people ever survived without it. I'm sure there are others that I am forgetting but if my list were too long then they would not be essentials! I took this pretty literal at first, too... it took some time thinking outside the box. Great list and love that you added nature in to yours. My husband and I talk about electricity like that, but I guess when you've never known any different (our ancestors) you weren't missing out on anything. True. I think it's so hard for us because everything uses electricity now.